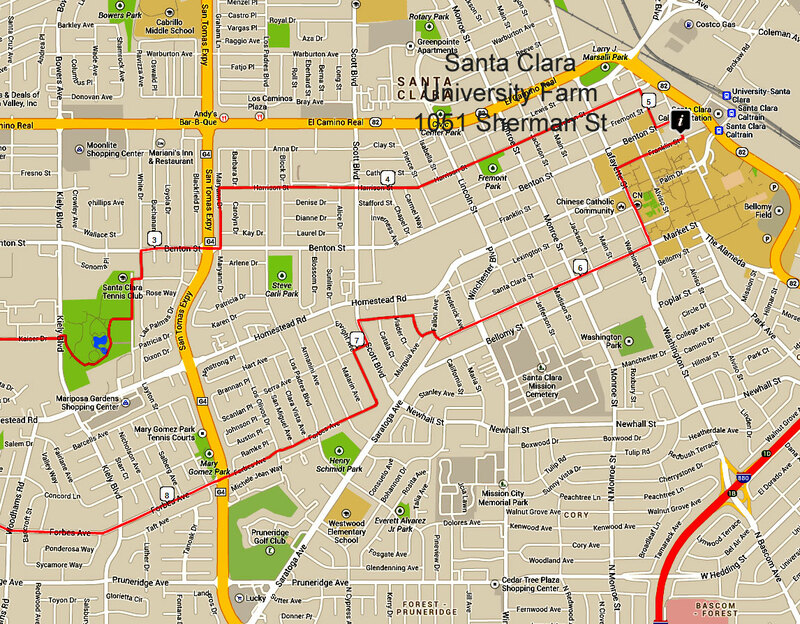 This tour can also be started by taking Cal Train to the Santa Clara station and starting from that community farm which is about 2 blocks from the Santa Clara University community farm. A train and bike and coop and community farm event! 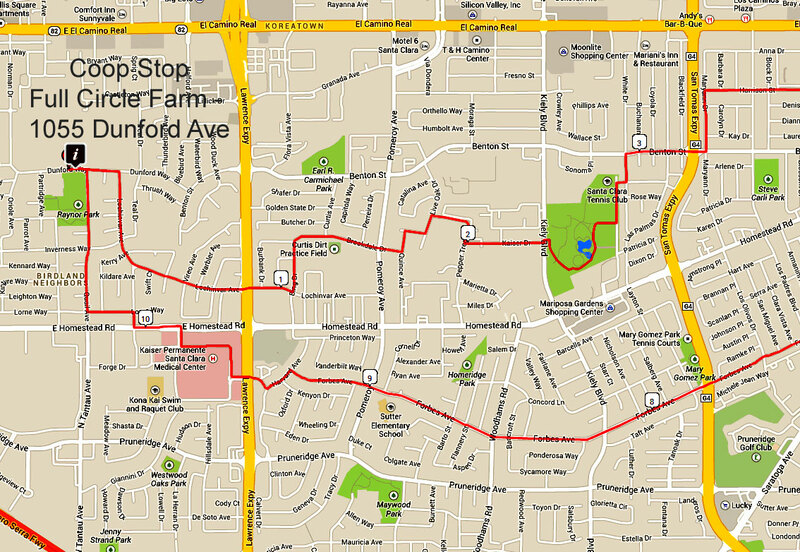 Print out the maps by clicking on the map and printing it on one page with the browser. It should be printed in landscape mode. Print out the cue sheet for turn by turn directions.